If you read the summary you know that Lord Strahan, King of Faery kidnapped Eloise. Considering that and how serious it should be, Stolen Away is the total opposite. It had this satirical feeling to it that made it a fun read. I think that's why I liked it better than other Faery books. Don't get me wrong, Stolen Away had some deep moments but like I said the author has this way of making the situation feel light with funny dialogue. I also loved the way Stolen Away was written. The narrative alternates between Eloise and Jo. They were like yin and yang. Eloise is mellow, serious and Jo is a drama queen and more fun. They compliment each other. If you like steamy romance you won’t be disappointed. Eloise and Jo each have a love interest. I did feel more connected to Jo’s love story with “mysterious” guy because it was intense and Jo is a bit crazy so it makes it more entertaining. 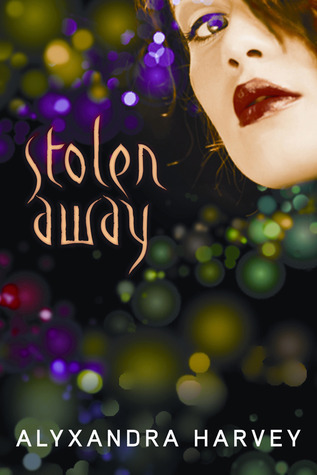 Overall Stolen Away is a fun read and you'll never be bored while reading it!